Rare miniature had carved ivory Nāga serpent from the Great Luang Por Pina of Wat Sanom Lao. 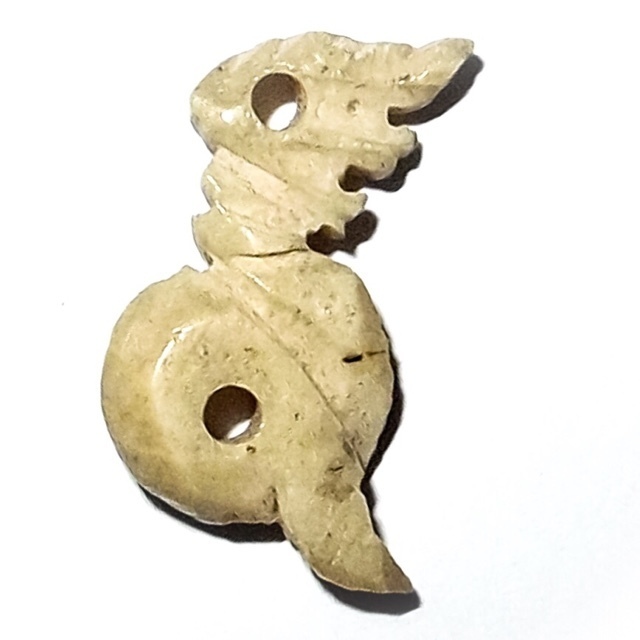 The Naga has been carved from a piece of ivory tusk, in the shape of a coiled Nāga. 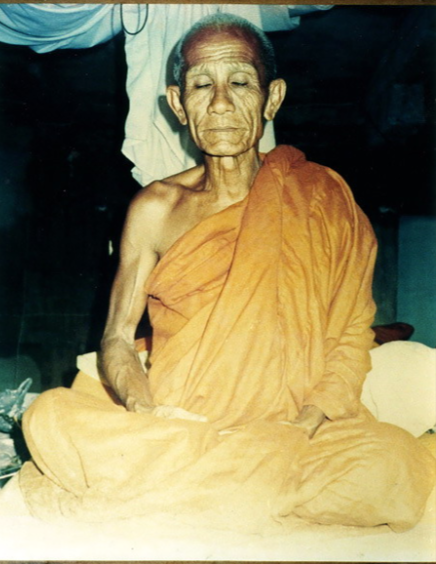 Luang Por Pina was the Abbot of Wat Sanom Lao, in Sra Buri, and was said to have possessed Abhinya Powers, and to have Mastered the 10 Kasina Powers of Elemental Magical Dominion. It is said that he was able to read the minds and intentions of other Humans, and bring amulets to life with is Empowerment Methods, and that his amulets were able to give signs and also can be beseeched and prayed to for wish fulfilment (Sarapat Neuk). 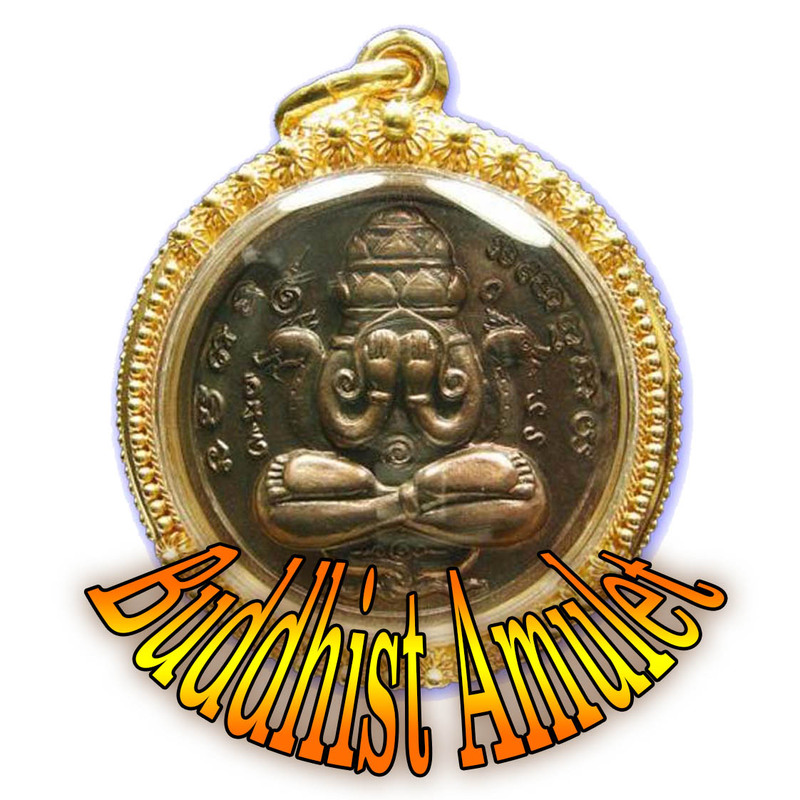 There are many stories of Miraculous Events occurring through his amulets. The amulet was especially carved and presented to Luang Por Pina for empowerment, as a 'Pra Nork Pim' class amulet. 'Nork Pim' means 'Not included in the Official editions' and refers to individual items made by devotees or commissioned by Artisans, and empowered without official mass distribution. Such items are rare, and not to be found in the official catalogues. 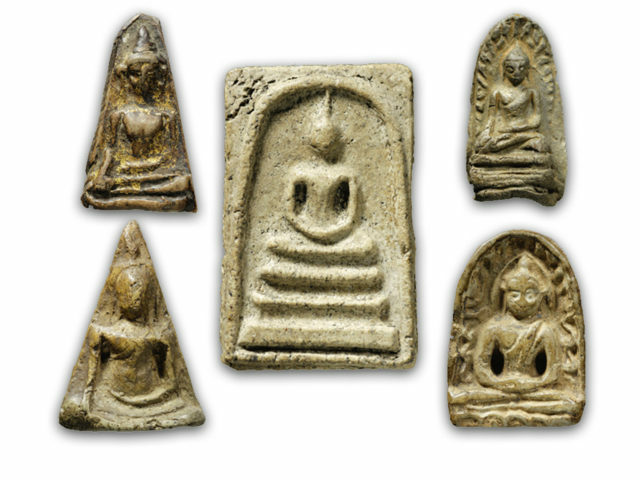 'Nork Pim', hence refers to authentic amulets which do not suffer from the speculative price raising found in official auctions, and are hence recommendable to devotees who seek the true power and authenticity of the particular master, but who do not wish to pay the high prices required for the competition class famous models. The Naga is an extremely powerful and magical being of the Bodhala Underworld, and is a Deva Being, who possesses Shapeshifter abilities, and can transform into Human Form at will. The Naga is a Very powerful Magical Entity and a Deity of the Thai Buddhist Pantheon. the Naga Kings are devotees of the Lord Buddha, and Protectors of the Dhamma. Kad Sa Ma U Ma (Chant 9 Times). Luang Por Pina is known to have performed strange Magical feats in front of the eyes of his disciples many times, especially when devotees would ask him for an amulet. He would ask the devotee to lay down and open their eyes, and would take a handful of sand and pour it over their face, as they would hold the amulet in the hand. But the sand would bounce back before it hit their eyes, and no matter how much was poured on the face, not a single grain of sand would be able to enter the eyes of the devotee, becoming repelled as if by a force field before it touched the eyes. 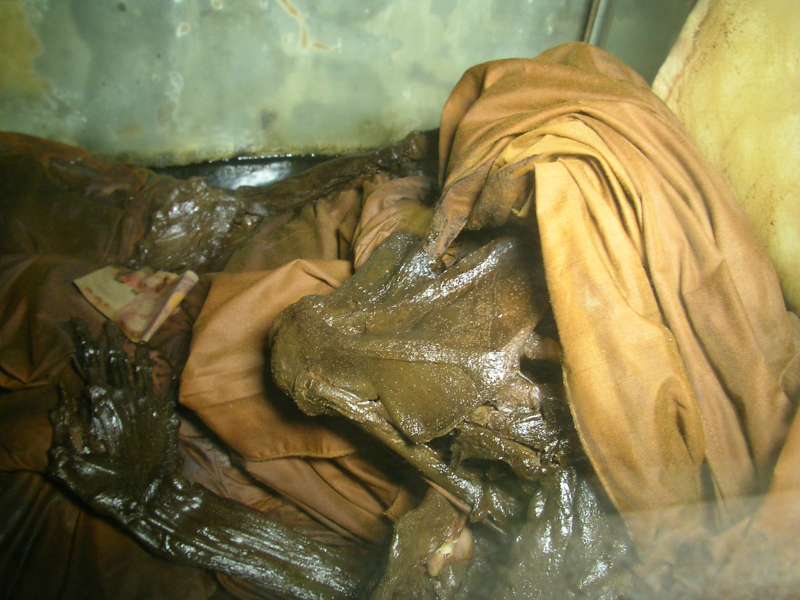 Below; The remains of Luang Por Pina in the Sussaan Pina, as he requested to be unpreserved Unmummified, and left to rot naturally according to the laws of Nature, without a grand funeral ceremony or chanting, and forbidden to be cremated. Luang Por Pina was extremely famed for his Palad Khik Hua Chamot Civet Head Lingams, and his Daw Nai Pan Nai Pon Lucky Star amulets. If you listen to the three quarter of an hour talk and explanation of the Sacred Daw Aathan along with a short Biography of Luang Por Pina, recounted and narrated by Amulet Expert Ajarn Spencer Littlewood in the below Podcast, you will be amazed to learn about the very deep meanings contained within the Daw Aathan Hnun Duang Lucky Star amulets of Luang Por Pina, and for those of you who are devoted Buddhists and Practitioners of Dhamma, you will feel incredibly inspired to apply the meanings found in Luang Por Pina's amulets, to your Buddhist practice of Dhamma, Meditation and Vipassana.